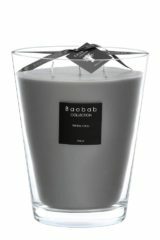 The White Rhino Max 10 is a 500 g. hand poured, scented candle of the highest quality with an average burning time of 60 hours. 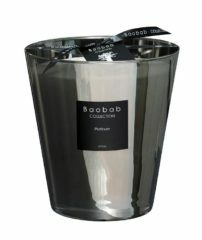 This Baobab White Rhino scented candle is presented in a hand blown 10cm glass vase. It has an aroma full of rich woody notes, with a zing of citrus and a sharp hint of strong cedar. There is also top notes in the fragrance of Santal Vetiver. 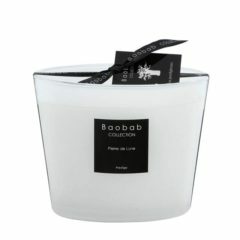 This scented candle gives a strong scent, a perfect gift idea for the special man in your life.